A dot matrix display is a display device used to display information on machines, clocks, railway departure indicators and many other devices requiring a simple display device of limited resolution. 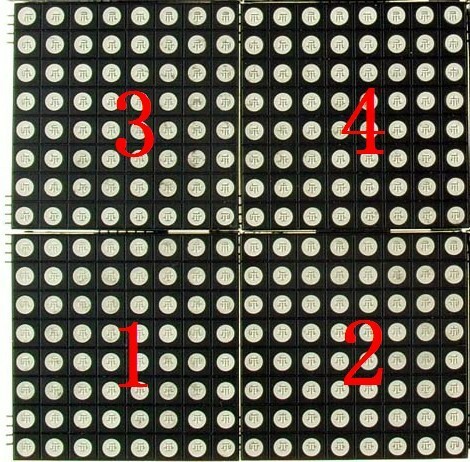 Even if the 8x8 RGB led dot matrix is commonly used in lots of applications, but it require too much digital pins to drive it. And the software is too complex also. The 8x8 LED RGB matrix module aimed to solve these problems. 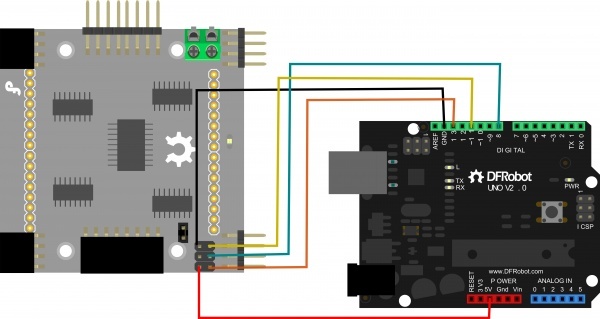 Directly drive the 8x8 RGB matrix module via the SPI serial interface. It works with 3-wire digital pins and the hardware SPI interface. 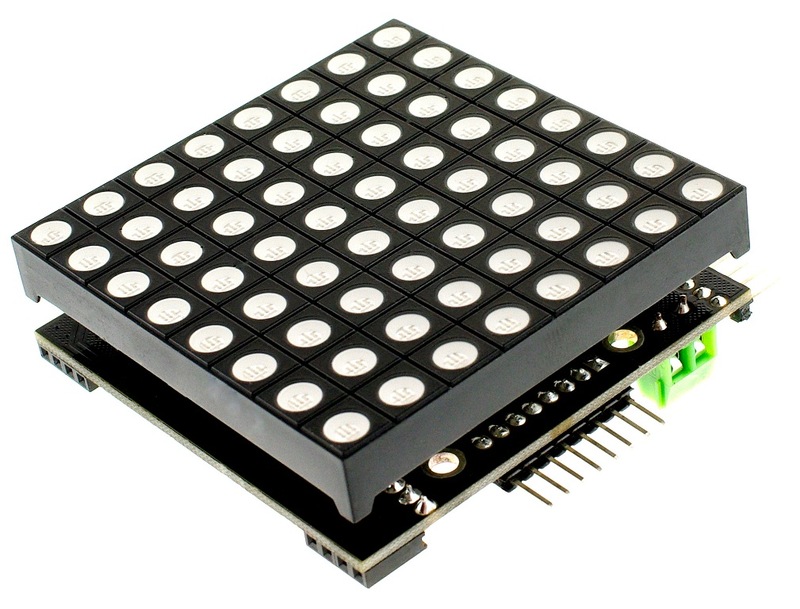 The RGB matrix module from DFRobot is Daisy-chainable connection design - vertically and horizontally at the same time. And the high speed data transmission design improves its' display refresh rate. So it's possible to assemble a big RGB Matrix screen. Unit comes with a Red/Green/Blue full color LED Matrix assembled with a RGB Matrix Backpack Controller. Certainly,it directly support Arduino. And the library supplied is helpful to drive it much easier. Attention: Due to the restrictions, currently only supports 7 colors display, maximum 3x3 cascade! AT+set_cur(0,8)                Reset the the cursor position. *        Receive AT comand via serial,and then run the right comand. *        This function can be run in sweep interval. *        Reduce delay time at function tail if screen blink. *        Increase delay time at function tail if screen shows a double image. *        Display function must be called. *    you should give display function a parameter which is a pointer to a function. *                Copyright:  ChengDu Geeker Tech. 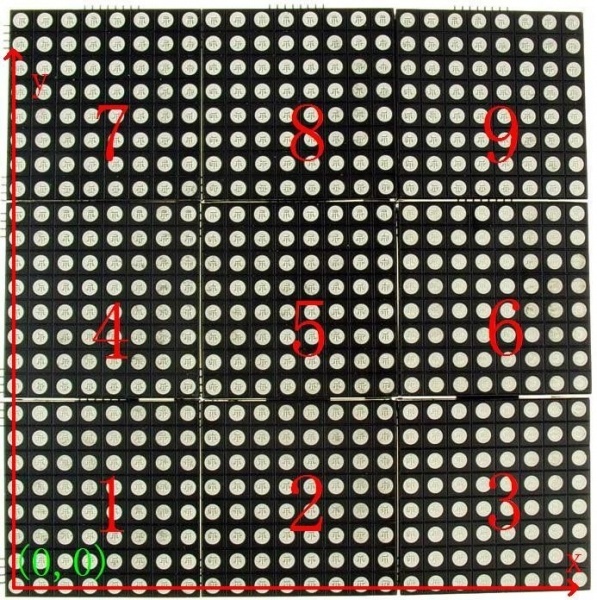 Co., Ltd.
Get 8x8 LED RGB Matrix from DFRobot Store or DFRobot Distributor.